This article is about the men's team. For the women's team, see Kosovo women's national football team. The Kosovo national football team (Albanian: Kombëtarja e futbollit e Kosovës, Serbian: Фудбалска репрезентација Косова/Fudbalska reprezentacija Kosova) represents Kosovo in international men's football. It is controlled by the Football Federation of Kosovo, the governing body for football in Kosovo. Yugoslav squads at international competitions often included players from Kosovo, such as Fadil Vokrri and Stevan Stojanović. Three other footballers from Kosovo, Fahrudin Jusufi, Milutin Šoškić and Vladimir Durković, were part of the Yugoslav team that won the gold medal at the 1960 Summer Olympics and silver medal at the 1960 European Nations' Cup. The first unofficial Kosovo national team was formed following the breakup of Yugoslavia and has played a number of friendly matches. On 14 February 1993, the first one was against Albania and the match ended with a 1–3 away defeat and the starting line-up of that match was Ahmet Beselica, Ardian Kozniku, Bardhyl Seferi, Fadil Berisha, Gani Llapashtica, Genc Hoxha, Isa Sadriu, Kushtrim Munishi, Muharrem Sahiti, Sadullah Ajeti and Selaudin Jerlini. "I am very pleased with the team's performance even though we had predicted a stronger opponent. However, I want to emphasize that our players have been fantastic. The fact that we do not play many international matches may have inspired the players to give it their all this time." —Opinion of the then coach Muharrem Sahiti after the match against Monaco. On 7 September 2002, Kosovo for first time after the Kosovo War played a friendly match against Albania and the match ended with a 0–1 home minimal defeat and the starting line-up of that match was Ahmet Beselica, Ardian Kozniku, Arsim Abazi, Besnik Kollari, Fadil Ademi, Faruk Statovci, Ismet Munishi, Mehmet Dragusha, Sunaj Keqi, Xhevdet Llumnica and Zenun Selimi. One of the most important international matches was a 1–0 win over Saudi Arabia played on 15 June 2007. It was the first time that Kosovo played against a team that has taken part in the FIFA World Cup and the winning goal was scored by Kristian Nushi from the penalty kick on the 84th minute. On 22 April 2006, Kosovo takes the first biggest win against Monaco and the match ended 7–1 and this record continues to be unbroken, today to this day. On 17 February 2010, for first time since the declaration of independence Kosovo played a friendly match against Albania and the match ended with a 2–3 home defeat. 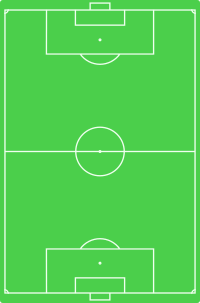 The starting line-up of that match was Anel Raskaj, Dukagjin Gashi, Enis Zabërgja, Fisnik Papuçi, Ilir Nallbani, Kushtrim Mushica, Liridon Kukaj, Robert Gjeraj, Shpëtim Hasani and Yll Hoxha. This match had a humanitarian character, because the profits gathered from this meeting will go to those affected by floods in Shkodër. On 6 May 2008, after the declaration of independence from Serbia, Kosovo applied for FIFA membership. On 24 October 2008, Kosovo's application was discussed at the FIFA Congress in Zürich, when Kosovo was rejected membership in FIFA and could not play friendly matches as it was deemed it did not comply with article 10 of the FIFA statutes, that only "an independent state recognised by the international community" may be admitted into FIFA. On 22 May 2012. FIFA reverted that decision stating that Kosovo may play other countries in international friendlies according to Article 79 of the FIFA Statutes. In September 2012, Albania international Lorik Cana, along with Swiss internationals Granit Xhaka, Valon Behrami and Xherdan Shaqiri, all of them with Kosovo Albanian origin, wrote a declaration to FIFA President Sepp Blatter, asking him to allow the Kosovo national team to be allowed to play friendly matches. The declaration was also signed by eight other Albanian footballers, hailing from Kosovo as Ahmed Januzi, Alban Meha, Armend Dallku, Burim Kukeli, Etrit Berisha, Fatmire Bajramaj, Lorik Cana, Mërgim Mavraj and Samir Ujkani. In May 2012. In a meeting held, FIFA decided to allow friendly matches to be played a decision it later revoked following a protest issued by Football Association of Serbia. Some players, especially Kosovo Serbs as Milan Biševac and Miloš Krasić, continued to play for the Serbia. A new meeting was held at FIFA, on 27 and 28 September in which the Kosovo issue was again planned to be discussed, which was then postponed until December. On 13 January 2014, the national team was given permission by FIFA to play against FIFA member associations in international friendlies, with the notable exception of representative teams of countries of the former Yugoslavia. Even club teams would be allowed to play friendlies after a FIFA Emergency Committee meeting. However, it was stipulated that clubs and representative teams of the Football Federation of Kosovo may not display national symbols as flags, emblems, etc. or play national anthems. The go-ahead was given after meetings between the Football Association of Serbia and Sepp Blatter. On 6 February 2013, FIFA gave the permission to play international friendly games against other member associations. On 5 March 2014, following FIFA's ruling. Kosovo played its first international friendly against Haiti and the match ended in a 0–0 draw. Before the match, some players of Kosovo posed with guns at a shooting range, causing a stir in Serbia. On the eve of the match, supporters of Kosovo burned the flag of Serbia. This incident prompted the Football Association of Serbia to request that FIFA revoke Kosovo's right to play international friendlies. After the match against Haiti, five more games were held with Turkey, Senegal, Oman, Equatorial Guinea and in the end with Albania. The first win in these friendlies was against Oman with a 1–0 home minimal win, while the biggest defeat that was simultaneously also the first defeat was a 1–6 home defeat against Turkey that was playing with players that were the majority from Turkish championship. In September 2015 at an UEFA Executive Committee meeting in Malta was approved the request from the federation to the admission in UEFA to the next Ordinary Congress to be held in Budapest. On 3 May 2016, at the Ordinary Congress. Kosovo were accepted into UEFA after members voted 28–24 in favor of Kosovo. On 13 May 2016, Kosovo was accepted in FIFA during their 66th congress in Mexico with 141 votes in favour and 23 against. On 9 June 2016. The UEFA Emergency Panel has decided that Kosovo will join Croatia, Finland, Iceland, Turkey and Ukraine in Group I, also decided that Bosnia and Herzegovina and Serbia should not play against Kosovo for security reasons. On 5 September 2016, Kosovo made his debut on FIFA World Cup qualifications with a 1–1 away draw against Finland and the draw goal was scored by the newcomer Valon Berisha from the penalty kick on the 60th minute. On 2 December 2018, in Dublin, it was decided that Kosovo should be part in Group A of the UEFA Euro 2020 qualifying, together with Bulgaria, Czech Republic, England and Montenegro. On 25 March 2019, Kosovo made their debut on UEFA European Championship qualifying with a 1–1 home draw against Bulgaria and the draw goal was scored by Arbër Zeneli on the 61st minute. On 24 January 2018, in Lausanne, it was decided that Kosovo should be part of League D in Group 3 of the 2018–19 UEFA Nations League, together with Azerbaijan, Faroe Islands and Malta. On 7 September 2018, Kosovo made his debut on UEFA Nations League with a 0–0 away draw against Azerbaijan. On 10 September 2018, Kosovo takes the first win in UEFA Nations League that was simultaneously also the first-ever competitive win was a 2–0 home win against Faroe Islands. In 2005. Kosovo has so far only participated in one international tournament, participated in the KTFF 50th Anniversary Cup, held to celebrate the 50th anniversary of the Cyprus Turkish Football Association, finishing second out of three. Kosovo lost against the host with result 1–0 and won against Sàpmi with result 4–1. Note: The match Kosovo–Ivory Coast was cancelled due to the internal problems of Ivory Coast national team. Note: The match Kosovo–Iran was cancelled due to the Kosovo national team refusing to play behind closed-doors. (1996-08-25) 25 August 1996 (age 22) 6 2 Unattached v.
U21 = Was called up from U21 squad. The Kosovo kit has been mostly red and black before declaration of independence with few changes throughout the years and after the independence the kits are mostly blue and yellow. On 5 October 2016, Kosovo signed with Spanish sportswear company Kelme to a four-year contract and was the first official kit suppliers of Kosovo after membership in UEFA and FIFA. On 16 June 2018, Kosovo signed with Swiss sportswear company Fourteen to a four-year contract and becomes the current kit suppliers of Kosovo. Fadil Vokrri Stadium 13,500 Pristina, Kosovo v.
Albania, 7 September 2002 v.
Loro Boriçi Stadium 16,000 Shkodër, Albania v.
Croatia, 6 October 2016 v.
Adem Jashari Olympic Stadium 18,500 Mitrovica, Kosovo v.
Haiti, 5 March 2014 v.
Below are two lists of the top 11 players with the most caps and goals for Kosovo. Arbër Zeneli is the top scorer in the history of Kosovo with 7 goals. ^ After stadiums in Mitrovica and Pristina were under renovation and do not meet UEFA standards. Kosovo played the qualifying matches of the 2018 FIFA World Cup in Loro Boriçi Stadium (Albanian: Stadiumi Loro Boriçi), a multi-use stadium in Shkodër, Albania. ^ a b c "The FIFA/Coca-Cola World Ranking - Associations - Kosovo - Men's". FIFA. Retrieved 4 April 2019. ^ "Albania 3:1 Kosova". RSSSF. 14 February 1993. ^ "Friendly match/Kosovo defeated Monaco by a score of 7-1". AlbaniaSoccer. 22 April 2006. Archived from the original on 22 May 2006. ^ "Kosova 0:1 Albania". RSSSF. 7 September 2002. ^ "Miqesore/Kosove - Shqipëri 2-3" [Friendly/Kosovo - Albania 2-3]. AlbaniaSoccer (in Albanian). 17 February 2010. ^ "FIFA ExCo makes reform progress and Audit and Compliance Committee appointment". Media Release. FIFA. 22 May 2012. ^ "Shaqiri, Xhaka, Cana&Co., deklaratë për Kosovën në FIFA" [Shaqiri, Xhaka, Cana&Co., statement for Kosovo in FIFA]. GazetaShqip (in Albanian). 20 September 2012. ^ "Cana, Šaćiri, Džaka i Behrami pisali Blateru zbog Kosova" [Cana, Shaqiri, Xhaka dhe Behrami wrote to Blater about Kosovo] (in Serbian). Sportski žurnal. 21 September 2012. ^ "Vokri: FIFA i UEFA imaju dvostruke standarde" [Vokrri: FIFA and UEFA have double standards] (in Serbian). Sportski žurnal. 4 October 2012. ^ "Zyrtarizohet 11-shja kosovare" [The Kosovan XI is officialized]. TopSporti (in Albanian). 5 March 2014. ^ "Kosova - Haiti, luhet historia" [Kosovo - Haiti, the history is played]. TopSporti (in Albanian). 5 March 2014. ^ "Kosova e dha provimin, barazoi pa gola me Haitin" [Kosovo passed the exam, draw without goals with Haiti] (in Albanian). Football Federation of Kosovo. 5 March 2014. ^ "Kosovo footballers draw with Haiti in Mitrovica debut". BBC News. 5 March 2014. ^ "Kosovo national team cause a stir by posing with guns before first ever international fixture". The Independent. 7 March 2014. ^ "KM: Zapaljena zastava Srbije" [KM: Burned flag of Serbia] (in Serbian). B92. 5 March 2014. ^ "FSS traži opoziv FIFA za Kosovo" [FAS seeking revocation of FIFA for Kosovo] (in Serbian). B92. 6 March 2014. ^ "Kosova shijoi fitoren e parë nën ombrellën e FIFA-s" [Kosovo relish the first victory under FIFA umbrella] (in Albanian). Football Federation of Kosovo. 7 September 2014. ^ "Kosova pësoi humbje nga Turqia" [Kosovo suffered losses from Turkey] (in Albanian). Football Federation of Kosovo. 21 May 2014. ^ "UEFA shqyrton në mars të vitit të ardhshëm anëtarësimin e Kosovës" [UEFA reviews in March next year Kosovo's membership] (in Albanian). Voice of America. 19 September 2015. ^ "Kosovo accepted as member of Uefa after Congress vote". The Guardian. 3 May 2016. ^ "Zyrtare: Kosova pranohet në FIFA, jemi të barabartë me të gjitha vendet e botës" [Official: Kosovo is admitted to FIFA, we are equal to all countries in the world] (in Albanian). Telegrafi. 13 May 2016. ^ "Kosovo and Gibraltar assigned to 2018 FIFA World Cup qualifying groups". UEFA. 9 June 2016. ^ "Kosova në Grupin I për kualifikimet e Botërorit 2018" [Kosovo in Group I for 2018 World Cup qualifiers] (in Albanian). Football Federation of Kosovo. 9 June 2016. ^ "Debutim fantastik i Kosovës, baras me Finlandën" [Fantastic debut of Kosovo, draw with Finland] (in Albanian). Bota Sot. 5 September 2016. ^ "Kosova e pafat, debuton me barazim në kualifikimet për Euro 2020" [Unlucky Kosovo debuts with the draw in qualifications for Euro 2020] (in Albanian). Football Federation of Kosovo. 25 March 2019. ^ "Liga e Kombeve, Kosova në Grupin D3" [Nations League, Kosovo in Group D3] (in Albanian). Top Channel. 24 January 2018. ^ "Kombëtarja A kthehet e pamposhtur, barazon me Azerbajxhanin" [National A team returns unbeaten, draw with Azerbaijan] (in Albanian). Football Federation of Kosovo. 7 September 2018. ^ "Kosova e nderon me fitore Fadil Vokrrin, merr kryesimin e Grupit 3 në Ligën D" [Kosovo honors with victory Fadil Vokrri, takes the lead of Group 3 in League D] (in Albanian). Football Federation of Kosovo. 10 September 2018. ^ "TR Northern Cyprus - 50 Years Anniversary Cup 2005". RSSSF. 4 November 2005. ^ "Challandes publikon listën e futbollistëve për ndeshjet me Danimarkën dhe Bullgarinë" [Challandes publish the list of footballers for matches with Denmark and Bulgaria] (in Albanian). Football Federation of Kosovo. 14 March 2019. ^ "Kosovo (1–1) Bulgaria". eu-football.info. 25 March 2019. ^ "Nënshkruhet marrëveshja mes FFK-së dhe 'Kelme' për fanellat e Përfaqësueses së Kosovës (Foto/Video)" [Signed the agreement between FFK and 'Kelme' for the kits of Kosovo national football team (Photo/Video)] (in Albanian). Telegrafi. 5 October 2016. ^ "FFK-ja promovoi logon e re dhe sponsorin e ri teknik" [FFK promoted the new logo and the new technical sponsor] (in Albanian). Football Federation of Kosovo. 16 June 2018. ^ "Zbulohen fanellat e reja të Kosovës për Ligën e Kombeve dhe logo e re e FFK-së" [Revealed the new jersey of Kosovo for the Nations League and the new logo of FFK] (in Albanian). Telegrafi. 16 June 2018. ^ "Loro Boriçi Stadium, Shkodër". eu-football.info. ^ "Stadiumi Olimpik Adem Jashari, Mitrovica". eu-football.info. ^ "Kosovo international footballers of all-time". eu-football.info. Retrieved 20 November 2018. ^ "Këto janë 11 stadiumet e Superligës dhe asnjëri nuk i plotëson kushtet (Foto)" [These are the 11 Superleague stadiums and none meet the conditions (Photo)] (in Albanian). Telegrafi. 3 May 2016. ^ "Loro Boriçi, shtëpia e përkohshme e Kosovës" [Loro Boriçi, the temporary home of Kosovo] (in Albanian). Radio Television of Kosovo. 28 June 2016. ^ "Loro Boriçi, i rilindur gati për kolaudim (Foto)" [Loro Boriçi, reborn ready for test (Photo)]. Facebook (in Albanian). Edi Rama. 11 August 2016.